Serving the CSRA for over 22 years,Thomson Chrysler Dodge Jeep Ram FIAT treats the needs of each individual customer with paramount concern. We know that you have high expectations, and as a Chrysler Dodge Jeep Ram FIAT dealer, we enjoy the challenge of meeting and exceeding those standards each and every time. Allow us to demonstrate our commitment to excellence! 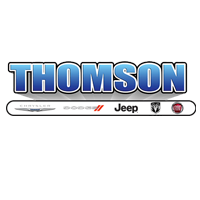 Although Thomson Chrysler Dodge Jeep RAM FIAT is located in Thomson, GA, we serve the entire CSRA, Georgia and South Carolina, including Augusta, Evans, Ft Gordon, Greensboro, Grovetown, Lincolnton, Martinez, Warrenton, Aiken SC, Columbia SC, McDuffie County, Washington, and beyond! Our friendly sales team at Thomson Chrysler is eager to help you drive away with the new car, truck, minivan, or SUV that fits your individual needs perfectly. We encourage you to browse our online inventory of new Chrysler, Dodge, Jeep, RAM and FIAT models. Come into our Georgia Chrysler, Dodge, Jeep, RAM, FIAT dealership to browse our new models and take a test drive. At JeepCheap.com we also offer the hard-working individual a great choice of Commercial Vehicles such as the RAM ProMaster and RAM Heavy Duty models for Evans, Martinez and Augusta area. We provide a complete car buying experience and can easily get you into a brand new vehicle today. Don’t have time to stop in? Give us a call or fill out one of our online forms. Our Georgia dealership is your destination for competitively priced used vehicles in the Augusta, Martinez, Thomson area. We maintain a large selection of used cars by today’s top auto manufacturers, complete with a detailed auto inspection by our technicians to ensure you drive away with the highest quality vehicle. From a great selection of certified preowned Chrysler vehicles to vehicles from brands such as Toyota, Hyundai, Mazda, Honda, Chevrolet, Ford, Nissan, and more, Thomson Chrysler is standing by to find you the perfect vehicle. View our used car inventory online today! Want to know more about interest rates, loan terms, or programs for individuals with bad credit, or no credit at all? At Thomson your financial experts are available on-site to answer your questions regarding car loans and leases. Visit us and we’ll help you get the vehicle you want at an affordable payment that fits your budget. Bad credit, no credit, bankruptcy, no problem! Get pre-approved today by filling out our secure credit application to get the process started. At Thomson Dodge Chrysler Jeep FIAT our staff of expertly trained auto technicians will keep your car in tip-top running shape. Whether you need to replace your brakes, change your oil or do a complete engine overhaul, our Service Department has you covered. Schedule a service appointment on our website via the online form, and we will get your vehicle in the shop, and back on the road in no time! We proudly serve the following areas with high-quality auto repairs: Martinez, Evans, Augusta GA and beyond!